There are many good reasons for booking a package holiday with a licenced tour operator. If anything goes wrong with the arrangements they've booked for you, it's their responsibility to sort it out and they may have a local representative available to help you. Just as importantly, the whole cost of the package is protected in the event of financial failure. Of course, you might not need or want a package. At Gates Travel we can book flights at very competitive fares which are covered by the Civil Aviation Authority's ATOL consumer financial protection scheme, something you won't get by booking direct with airlines. We can also arrange all kinds of accommodation, from hotels and apartments to cottages and even boats. If you're boooking your flights with us, we may be able to include the accommodation within the ATOL protection, otherwise different types of financial protection may apply. This also applies to car hire, so if you're planning to rent a vehicle it's worth telling us when you enquire about flights. Many airlines offer lower "inclusive tour" air fares when ground arrangements are booked at the same time, which needn't be for the whole duration of your stay. Planning to visit a theme park during your holiday or take a city bus tour to get your bearings? Tickets are often cheaper if you pre-book before you travel and at Gates Travel we can get you tickets for just about anything you can think of! It is almost impossible to overstate the importance of taking out a suitable insurance policy when travelling abroad. Although the free European Health Insurance Card (EHIC, the successor to the old E111) and some credit cards do provide some cover, they are certainly not comprehensive and you could end up with some very expensive medical bills if you require treatment while you are on holiday. No matter how confident you are that you will be travelling come what may, illness (including that of a close relative) may force you to cancel or postpone your trip, incurring cancellation or amendment fees which could be covered by a travel insurance policy. In accordance with the Financial Conduct Authority's rules for insurance sellers, we are an Appointed Representative of Holiday Extras, a UK specialist travel insurance provider. Many countries require that visitors' passports are valid for longer than the duration of their intended stay. You may also need to apply for a visa to visit some countries, or to complete a visa waiver procedure before travelling. Eligibilty to travel without a visa may depend on your individual circumstances and even on which countries you have visited previously, so it is vital to check before booking. The Foreign and Commonwealth Office provides up to the minute advice for British nationals travelling abroad. 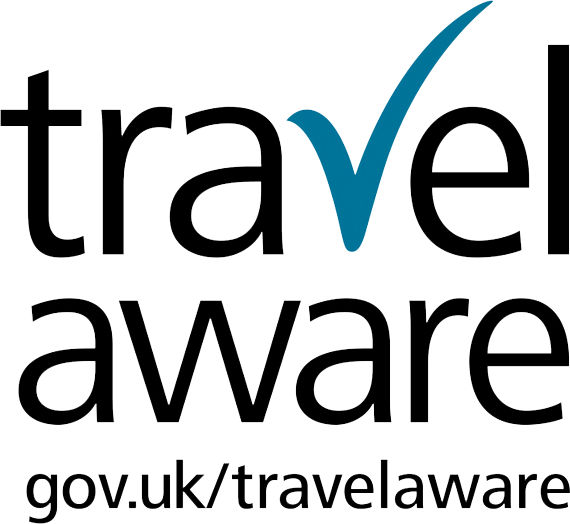 We strongly recommend that all prospective travellers check FCO advice when planning journeys and check again immediately before travelling. Just tell us what you'd like! We work with a wide range of package holiday and specialist travel suppliers, so whatever your requirements, we can help. Browse our website or contact us for help and advice.